We all know blogging isn’t an easy job, especially when it’s not your full-time job! I’m always juggling blogging with one hundred other different things so it’s important that I keep on top of all my blogging admin to make sure I don’t get behind. Just a few weeks ago I had a week off from my blog due to a trip away and I was left feeling a bit overwhelmed with how much I had to catch up on after such a short time off. Aside from creating my content, emails are one of the most important aspects for me. My emails are where I’m going to find a lot of my new opportunities, and whether they’re paid or unpaid I like to make sure I respond to emails as quickly as possible. I like to tackle my emails every morning – whether I’m having a ‘blog day’ or doing something different. 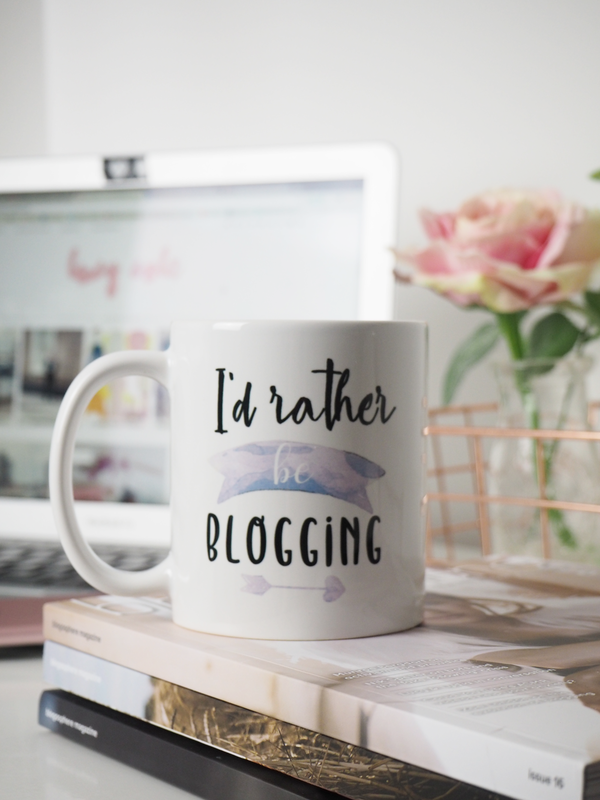 I’ll set myself up with a cuppa in my uh-mazing new mug from Blogging Mode*, and get stuck in.Dealing with them every morning prevents them from piling up and stops me from forgetting to reply to anything important. It also sets me up perfectly for the day ahead because it lets me know if there are any opportunities, in particular, I need to start working on. I use my weekly planner in every aspect of my life. I like to write down in the week when I’ll focus on what. 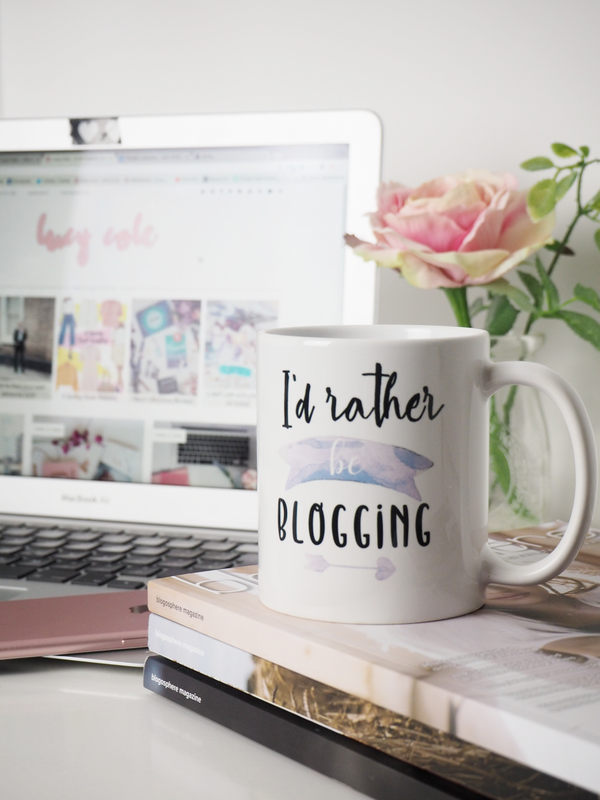 I’ll plan everything, from when I’m going to write up certain posts, when I’m going to take some photos, and when I’m going to do some all-important engagement like replying to comments and catching up on some of my favourite bloggers. By no means am I making thousands from my blog right now, but this year I did start making some fair income. I know when January rolls around I’m going to have to fill in that pesky tax form. To make my job easier, I’ve made sure to keep a record of all my payments on a handy excel spreadsheet. This finance sheet is split into months and highlights what income I’ve received, by whom and when, as well as any expenses I’ve made on my blog, for example, when I paid to get my blog migrated over to wordpress. Since using google calendar for my blog my life has been SO much easier. I generally use the calendar to plan when different posts are going to go live. As much as I love writing things down on paper, this digital calendar is far better. Often, I’ll be given deadlines for posts, and there are certain posts I would like to go up on certain days – for example, a monthly favourites at the end of the month. I’ll add in ‘events’ for each blog post on the day I plan for it to go live, enabling me to see the different content I have planned. I can easily switch them about as and when I need to too. I’ll also use the ‘reminders’ feature too which is a total life-saver for chasing up invoices. When I send off an invoice I’ll add a reminder however many days later to chase it up if I haven’t yet been paid. If I could recommend anything as a blogger it would definitely be to make use of an online editorial calendar like this. 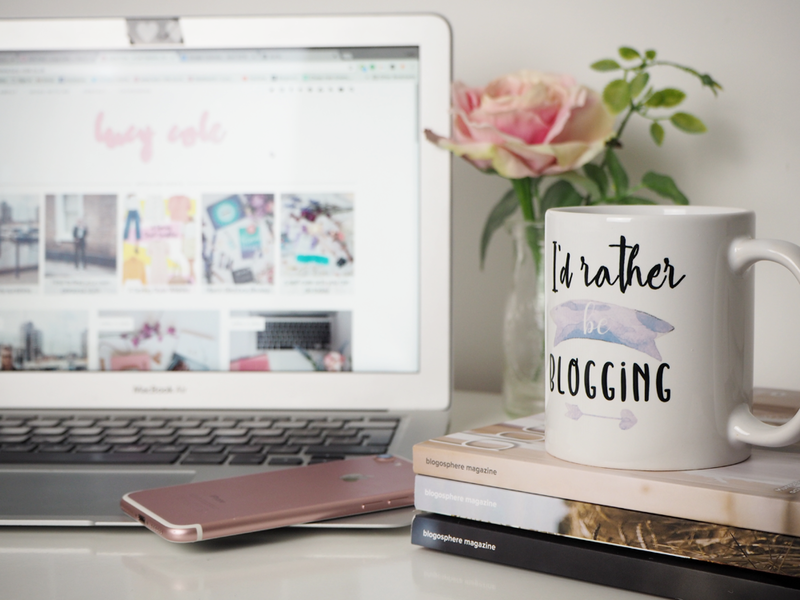 How do you keep on top of your blogging admin? "Blog photography props that won’t break the bank from eBay"